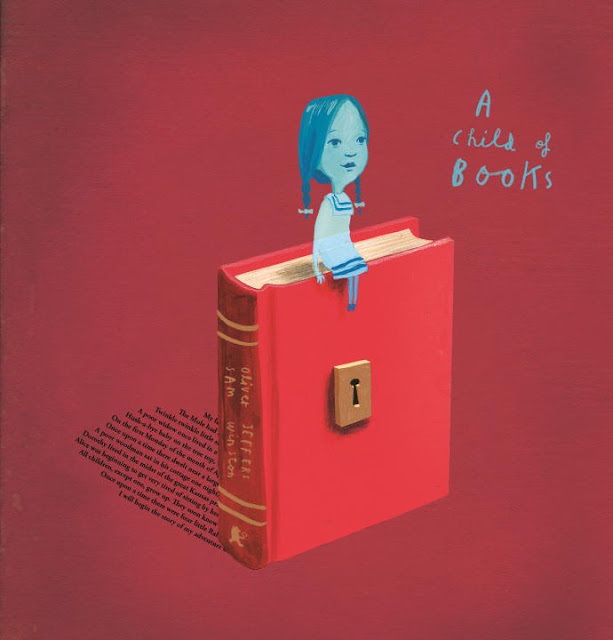 If there was ever a book to give you all the feels, it's A Child of Books by Oliver Jeffers and Sam Wintson. This book is about you and me and book lovers everywhere who have gained wisdom and inspiration and hope from the books in their lives. It's best to go into the book without knowing too much, so I'm going to try not to be overly descriptive here when I gush. The design of this book is immaculate, from the book case to the printed endpapers. The canvas book case features an embossed keyhole on the front and a key on the back, beckoning us to unlock the book and step into a world of imagination. And it mirrors the book the little girl reads at the beginning of the story before passing it off to the boy! It's so beautiful to witness this form of storytelling get passed from one character to another (and ultimately to us). 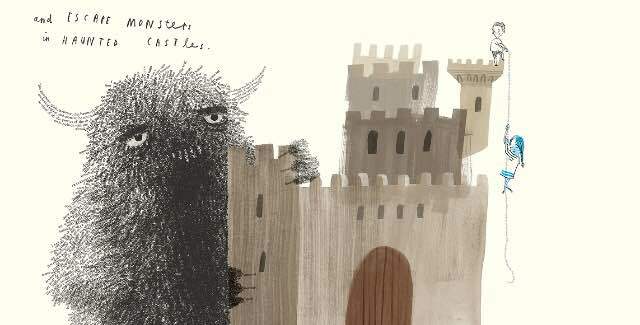 The events in the story--much like the events in our own lives--are shaped by scary and funny and sad and hopeful stories: the rope the two characters climb down features a line from Rapunzel, and the clouds they sleep on all feature different nursery rhymes. It's such a fantastic reminder of the bonding power of books and universality of experience. These are the stories that connect us, that incited change and meaning in our lives. We're all a part of each other, and it's important to remember that our stories weave in and out of one another's #booksforbetter. A Child of Books publishes from Candlewick Press on September 6!